Our Grower's Choice Subscription freshly picked and delivered to your door every month. Decorative Life: Weeks to months. For best results, freshly harvested pumpkins should first be cured for about 10 days at 80F before being placed at 55-60F for storage. The curing hardens the rind (skin) and helps to heal cut or damaged surfaces. However, bruised areas cannot be cured, therefore, handle them carefully to prevent bruising. Stores well at room temperature or in refrigeration at 55 degrees F.
Cultivars ‘Sweetie Pie’ and ‘Jack Be Little’ are 3 inch wide miniatures good for decoration, ‘Lumina’ has white skin and orange flesh, ‘Big Moon’ produces fruit up to 200 pounds. Kinds used for ornament: yellow-flowered gourd (Cucurbita pepo var. ovifera), white-flowered and snake gourds (Lagenaria), white or wax gourd (Benincasa), dish cloth or vegetable sponge gourd (Luffa). 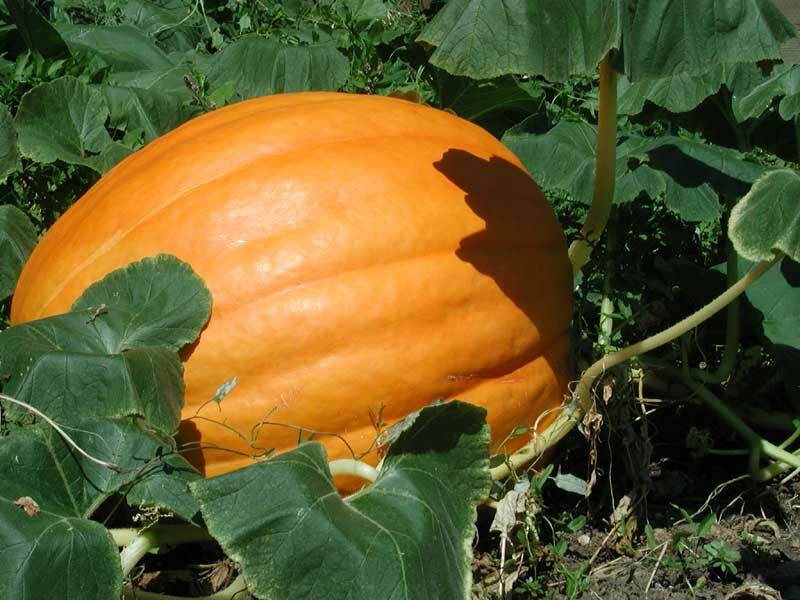 There are native gourds in Texas and Mexico that may have some relation to prehistoric species, but the history of cultivated pumpkins is not fully known. Cucurbita is Latin for gourd. The specific epithet name “maxima” means largest, probably in reference to fruit size. Hubbard and many other large fruited types are members of this species.